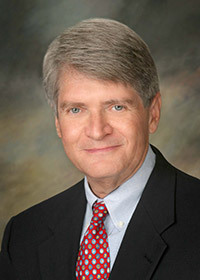 Dr. Patrick received his undergraduate education at The University of Georgia in Athens. He continued his education at the Medical College of Georgia, where he graduated from the School of Dentistry in 1975 with a DMD. He currently teaches and is on the visiting faculty at the L. D. Pankey Institute for Advanced Education, a prestigious postgraduate dental education institution in Miami, FL. Additionally, Dr. Patrick attends many hours of continuing education each year, far exceeding the number of hours required by the Georgia Board of Dentistry. As an experienced restorative and cosmetic dentist with a solid history of serving Athens, Dr. Patrick values the patient/doctor relationship. He views dentistry as more than clinical excellence, state-of-the-art technology, and business. To maintain his dedication to one-on-one patient care, he keeps his practice small and intimate so that he can invest in building relationships with every patient. Away from the office and school, Dr. Patrick is involved in a number of community activities. He also enjoys physical fitness, water skiing, sports (he is a loyal Bulldog), reading, and spending time with his wife and family.